The 2017 Ford Explorer, a reliable workhorse designed to meet your need for automotive strength and stamina, offers tremendous utility and cargo space at a great value. With its powerful engine and body, the 2017 Explorer can tow up to 5,000 lbs. when properly equipped and customized with an available towing package upgrade. If your Explorer detects trailer sway while you’re on the move, the trailer sway control system will automatically adjust your engine’s output and the vehicle’s brakes in order to precisely counter the effects of the sway. 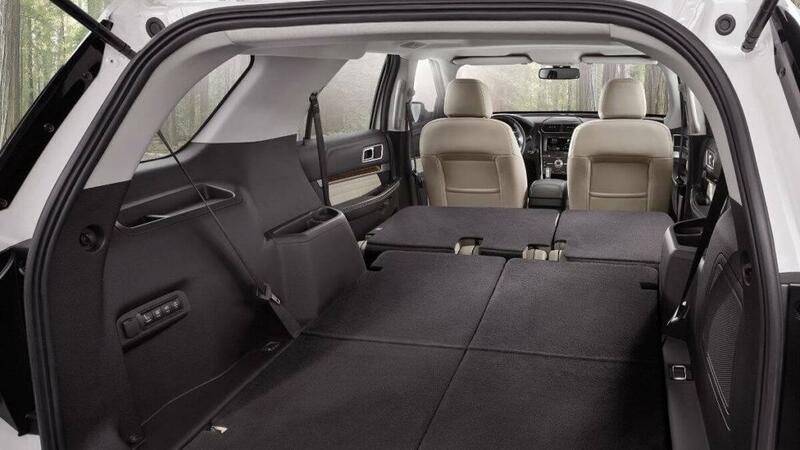 When you have the second and third row seats upright, the 201 Explorer gives you 21 cubic feet of space. When both are folded, you’ll get an incredible 81.7 cubic feet of cargo space in addition to a storage area on the floor. Upgrade your situational awareness with the 2017 Explorer’s front 180-degree camera and accompanying forward sensing system that allows you to pull out of tight spaces and see around corners. The system keeps itself clean with a built-in washer. Now that you’ve seen what the 2017 Ford Explorer can do for you, why not take it for a test drive today at Glenwood Springs Ford? Glenwood Springs Ford is committed to ensuring you receive the best deal possible with our fair and honest financing packages designed for drivers with either poor or bad credit. Contact us today to get in touch with our Ford Explorer experts and knowledgeable sales associates who can put you in the driver’s seat of your very own 2017 Explorer today at Glenwood Springs Ford.